It’s officially the age of eCommerce. The unprecedented growth is showing no signs of letting off, with up to 95% of purchases expected to be made online by 2040. All kinds of eCommerce business models are thriving under all kinds of conditions. Every day more people jump on the eCommerce bandwagon. But if you’re new to the idea of selling online, you may not even know what all of these “business models” are. Even an experienced eCommerce business owner may not necessarily be aware of all of the different business models and what they could offer them. If you’re someone who’s wondering how to start an eCommerce business but don’t even know where to begin, congratulations, you’re on the right page! We’re about to break down each eCommerce business model, their pros and cons, the best examples and more. By the end of the page, you will be more informed on the different types of business models, and more importantly, which one supercharge your business and revenue! If you’re starting from the beginning, this might be the first question on your mind! Everybody starts somewhere, so it’s nothing to worry about. If you already know this part, just use the Contents button above to skip to the section you need! eCommerce is a word used to refer to all commercial transactions conducted electronically via the internet. If you’ve ever bought or sold anything online, you’ve been involved in eCommerce. As you can see, eCommerce is an absolute giant and the amount of growth predicted is huge and will likely continue long beyond the years displayed in the graph. This means plenty of potential revenue and plenty of potential customers for you. Of course, this growth also means more competition. 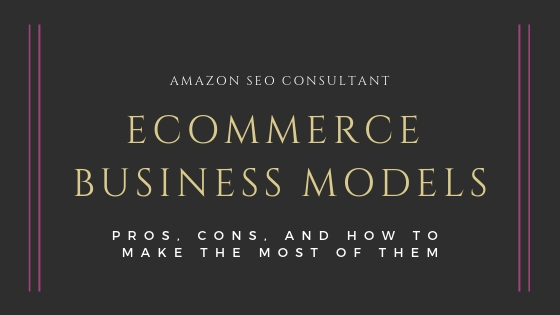 To do the best you possibly can, and get a bite of the eCommerce pie, you need to be aware of all the potential business models that are available, which one suits your current situation best, and how to succeed at it. eBusiness is a term that many confuse with eCommerce. eBusiness is essentially any form of business that is run via the internet and is most commonly used in B2B transactions. eCommerce takes place between businesses and is a form of eBusiness, but other forms include Customer Relationship Management, Business Processes, Supply Chain Management and more. For this guide we are only talking specifically about eCommerce and the business models that can help you with selling products or services via the internet. A business model is exactly what it sounds like. It’s a plan for how a business should operate and grow. A solid business plan focuses on the sources of revenue, the targeted customer base, details of products, financing/costs and everything else needed to create a full picture of how the business will run and thrive. A 1994 Harvard Business Review article is in many ways the forefather to the eCommerce business model. 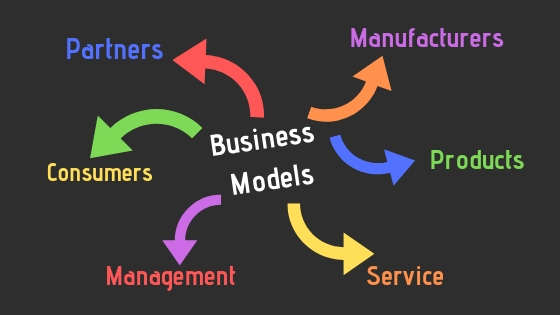 The term “business model” was relatively modern at the time, with the advent of the PC (and the spreadsheet) appearing in the last two decades, and many of the pioneers of eCommerce in the 90’s referred back to Drucker’s Theory of The Business and stated how answering these simple questions was fundamental in planning a successful online business model. The key to success in eCommerce is studying your market and researching your products unceasingly, continuing to learn everything you can about them, applying this knowledge to a proven and solid business model, and then pushing it further than your competitors are willing to, or doing what they simply can’t. Your business model needs to take everything into account because some market condition, consumer want or product feature your competitors are aware of and attempting to leverage (or mitigate) is an instant weakness if you make the mistake of overlooking it. An eCommerce business model should also cover things like startup costs and how/when the investment will be recouped, marketing strategies, competing products, target consumer base and more. These are probably the most obvious. From clothing brands, niche stores like Vapemate, and even Amazon, any website that allows you to buy a physical product comes under this umbrella. After a transaction, items are typically delivered to the customer via couriers or can be collected from an appropriate pickup location. This category includes anybody that sells their services or skills online. One of the most common examples at the moment is Fiverr, which allows people to advertise their skills for freelance jobs to make money in their free time. They can range from huge service marketplaces like Fiverr to small company websites such as plumbers and web designers. Selling digital goods is the act of selling products that are stored and delivered digitally instead of physically. This can include video game and music downloads, e-books, video streaming, online courses and more. One upside of selling digital goods is that you never run out of stock and some products can even exist online perpetually without further cost to you once created. Successful examples include Spotify & Netflix. 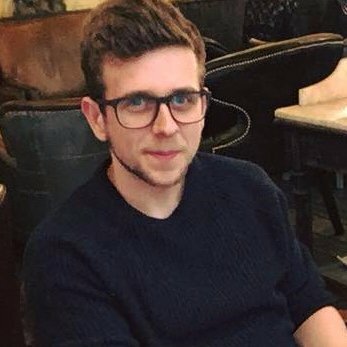 Another effective way to categorise eCommerce sites and understand how they work is to understand who the main parties in the transactions are. This can help you decide which of these categories, or even which hybrid of more than one, is best for you. You could be forgiven for thinking that B2C (Business to Client) is the only real type of eCommerce business, since it’s so widely visible, but you’d be wrong. B2B stands for Business-to-Business and is usually an online product or service sold by one business to another. Examples include Sage accounting software, wholesale business model suppliers who sell to retailers, and companies whose target audience is other companies for example FlexfireLED. There are a lot of service providers in this category, due to the nature of supplying businesses. Regardless B2B businesses can also sell digital goods (such as software) or physical goods (such as office chairs and computer equipment). Business-to-Consumer is the most common and for many people is likely the first business model they think of when considering eCommerce. B2C business is essentially traditional commerce, which focuses on a consumer buying a product or service from a business. The only difference from a physical store is that the transaction is completed online. Examples include SimplyGames and Zavvi. As well as dedicated eCommerce B2C businesses, plenty of B2C examples originate from retail stores e.g. Asda and Gap. 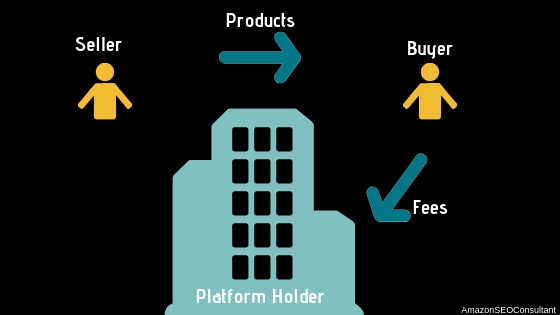 Consumer-to-Consumer is a platform that allows consumers to sell to and buy from each other. The most successful examples are eBay and Craigslist. C2C business tends to have a high failure rate due to the challenges of creating a sustainable business model. eBay has managed to make huge revenue through product listing fees by dominating the industry. Despite this, C2C is one of the most difficult business models to get into and requires careful planning and research. 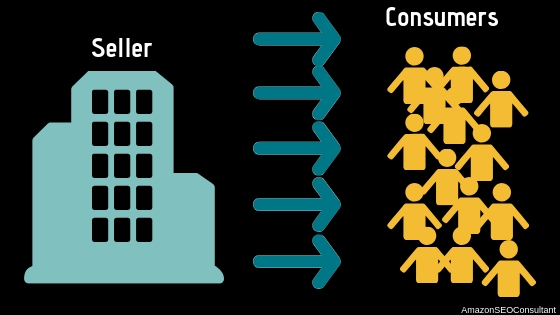 Consumer-to-Business is another model that most wouldn’t immediately think of, but it is growing rapidly. Affiliate marketing is a common monetization route for blogs and websites, and this is a huge part of why it’s growing. Crowdsourcing campaigns can also come under this category. 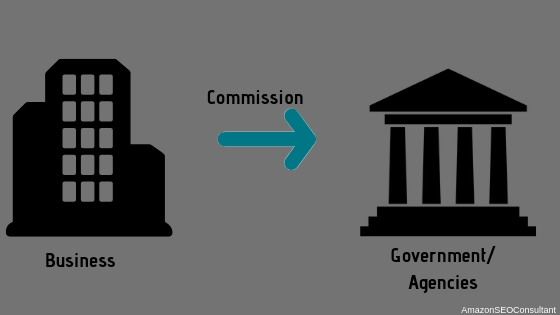 Business-to-Government (also known as Business-to-Administration depending on your location) is when businesses market and sell products to governments. This can be anything from a council purchasing from a web design site to a school purchasing sports day medals. 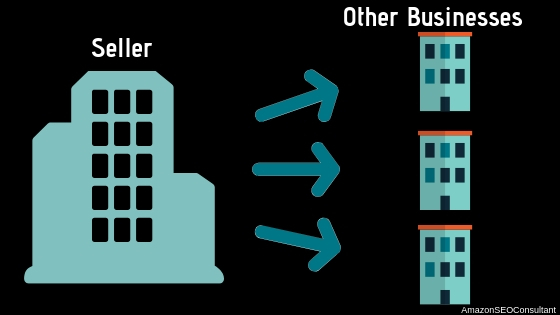 B2G transactions are often done through purchase orders, similar to B2B transactions. Consumer-to-Government/Consumer-to-Administration is probably the one on this list that will interest you the least since chances are you won’t be able to make any money from it. 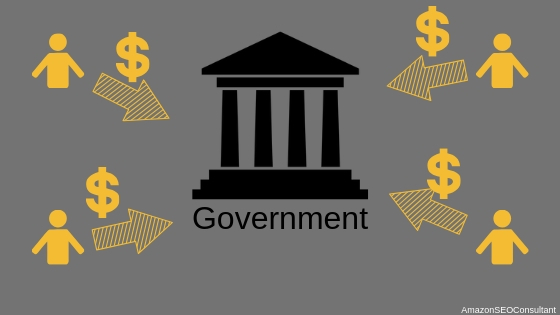 Basically, it’s when a consumer is making an online payment to a government, so can include paying taxes or parking tickets, university tuition, passport applications and more. Ok so now you have a pretty good understanding of who tends to sell to who on the internet and some of the customer-seller relationships that business models are built on. But if you want to start your own eCommerce business, what are some of the most modern and successful business models you should be considering taking advantage of? This is one of the most accessible models to the beginner because there isn’t a huge amount of investment necessary. 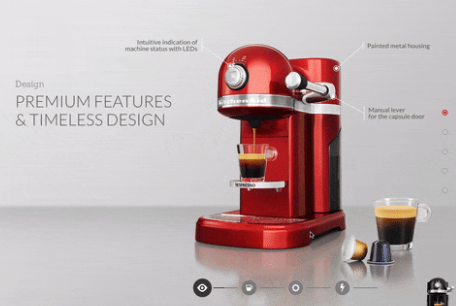 Imagine you have an idea for the perfect product. You’ve done your product research, improved your product’s features, and you know it can sell well. However, you don’t have the cash, time, or wish to own your own warehouse or factory to produce and stock these items. 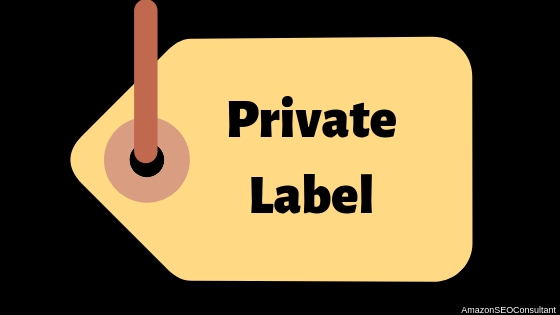 Private labelling is when you send plans, designs or prototypes to an outsourced manufacturer. They manufacture the item for you with your own packaging and branding (if necessary). They then ship it either to a fulfilment centre like Amazon, to yourself to sell on, or directly to your customers (which is dropshipping, more on that later). There are a ton of benefits to this when you’re first starting out. Firstly you don’t need your own factory equipment, so start-up costs are very low. Secondly, if you have troubles with quality or production speed, you can just switch to another manufacturer. However they are aware of this, and the best manufacturers will try to stand out from the competition by providing outstanding service, which is great news for you too. 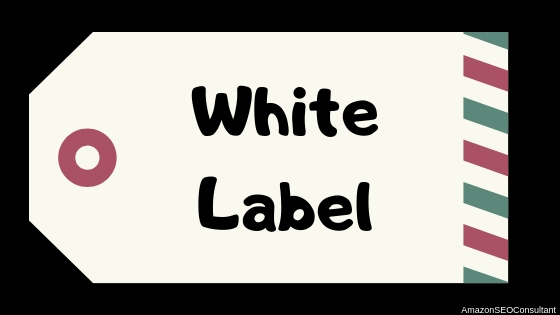 White Labeling is extremely similar but involves repackaging existing products with your own label and branding. Usually, you would try to improve it slightly or make it unique somehow, but often the product can be identical. This is extremely common in the health and beauty industries as many products in those industries are essentially the same ingredient packaged differently anyway. Demand and stock levels can be an issue with this model, as most manufacturers will have a minimum order quantity. If you order 2,000 and only manage to sell 200, it’s tough luck and you’re stuck with them. Regardless, if you know your product is in demand and are willing to put in the work, this can be one of the most rewarding models. These are popping up more and more. Some of the most successful subscription boxes you may have heard of include BirchBox, Graze, Loot Box, Dollar Shave Club, Blue Apron and more. While these boxes are can be shipped anywhere easily and target a global market, subscription boxes can also target local markets for example weekly fresh farm produce deliveries. 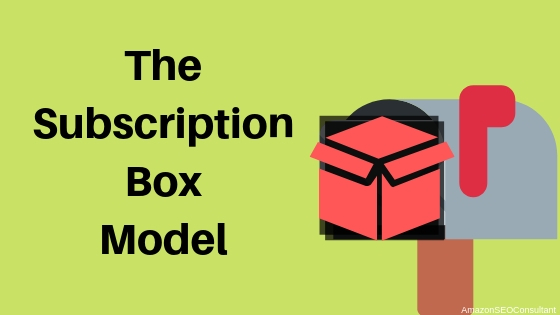 The bonuses of running a subscription box model are that you can build up a pretty reliable and steady stream of income. You can also build up a list of subscriber contacts which you can use to offer additional products or offer discounts in turn for getting their friends and contacts to subscribe. This is the hardest to get into of all the models on this list. It generally requires a large warehouse and advanced stock tracking software to even make a start, which can be a huge investment. 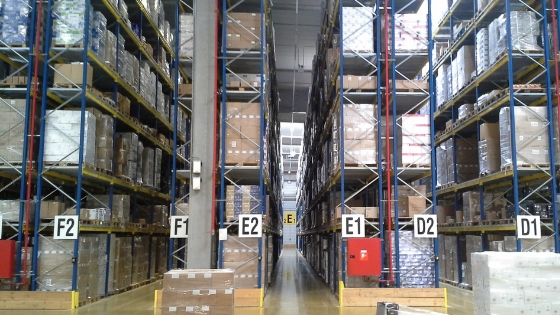 The aim of the game here is volume, and to get as much stock moving as possible so it isn’t hanging around in your warehouse costing you money. This is why wholesalers tend to offer products through as many channels as they can as well as drop-shipping and other methods to keep them moving product from as many angles as possible. This is the easiest form of eCommerce business to set up, and the cheapest in the early days. However, due to this low bar of entry, it is also one where you will face a lot of competition and struggle to stand out. 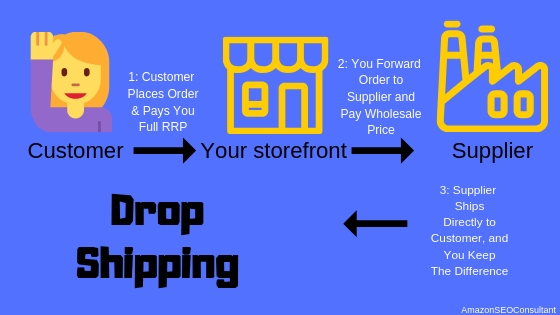 Dropshipping is essentially when you set up an eCommerce site or other selling channel, and begin to take orders. When somebody makes an order and pays you, you then pass the order on to the supplier. They will deliver the product to the buyer, without any company labels or invoices in the box, so that it appears to be coming from you. Wholesalers love drop-shipping because it means a bunch of people can sell for them, widening their customer base, and they can just focus on stock management and sourcing. Personalised goods are also very popular with dropshipping business models, for example Print-on-Demand services. The downside comes when multiple major online stores are selling the same products from the same suppliers, meaning they are likely to be at similar prices. Your only way to get cheaper than the competition is to buy so much that the wholesale offers you bigger discounts, which is pretty difficult if you’re starting out at full price when other dropshippers have already done it. Sometimes, all you have to do is come up with a product everybody wants but nobody else is offering. Bushwick Kitchen now sell a wide range of food related gift sets and sauces. However they started out by simply selling chilli-infused honey. Thanks to keen branding, a product that wasn’t available many other places, and huge press coverage early on, Bushwick Kitchen made almost $180,000 in sales in under a year. Other times, making a success of eCommerce is as simple as connecting the right product to the right business model, and tying it up with solid branding and pricing. Dollar Shave Club started out by offering a $1 subscription service, supplying customers with razors every month. Anybody who regularly buys razors will know the attraction of never having to worry about it again. Once Dollar Shave Club built a large enough following, they expanded into a $5 offering which included shaving creams, shower gels and more. What really pushed them over the edge into success-mode was a humorous over the top promotional campaign. As soon as they found a tone to their marketing that worked for them, it was game over. The most obvious example perhaps, but Amazon are the corporation that are truly dominating the eCommerce game. If you hope to succeed in eCommerce whatsoever, you should be aware of every step they take. You may be asking which type of business model Amazon offer, but the truth is, outside of Consumer-to-Government eCommerce, they have had success in all of them. Launched in 1994 as one of the first B2C eCommerce companies, and diversified hugely from only selling books at the start, to virtually everything. Had a customer-obsessed and customer focused approach since day one. See our guide on Customer Service in eCommerce for more on why this is so important. Amazon has had their finger on the pulse of eCommerce since there has been one, and if you see them making major changes and preparing for something they expect to be a viable part of eCommerce in the future, you need to be paying attention. What are the main things you should be learning from them? Revenue models are a key part of your business model. They are essentially a framework for the income gained by an eCommerce business model. 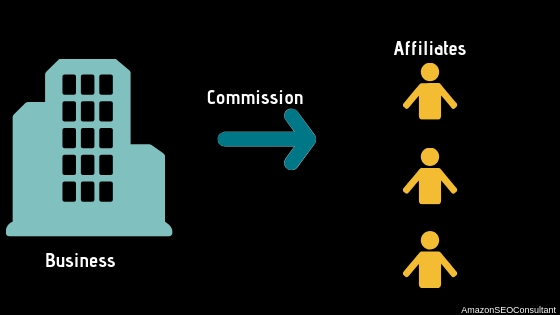 The affiliate revenue model works with commission. A blog or website advertises products for a seller by posting trackable links or giving discount codes. The seller will pay the advertiser a commission charge for each sale or conversion. This is an extremely popular model as it’s essentially win-win – the seller gets more sales, the blog gets commission, and if the links aren’t clicked – nothing happens. 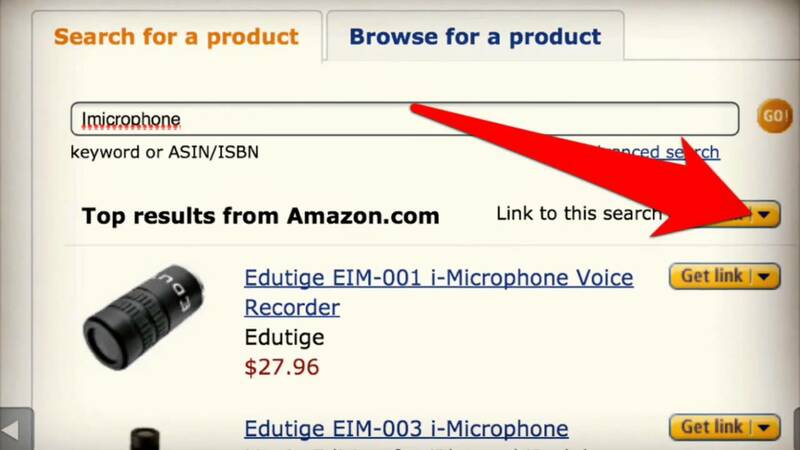 Amazon is a major player at this model and you will see their affiliate links all over the web. The single product model is when you focus all your efforts on a single product. One of the most common examples of this is software companies, who may only have one software package available. This can be a great model if you have absolute faith in demand for your product, and the competition isn’t too bad. Most sellers usually try to supplement it, for example if you’re a software development company with only one software package for sale and not enough staff to produce other packages, you can try selling extra content for the software or online training courses. If the demand and competition aren’t what you thought they were, however, it can also be a very risky model! 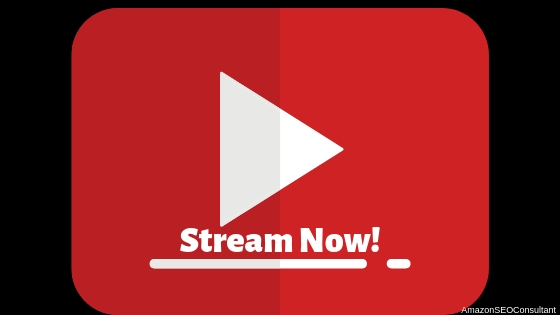 This is an extremely good choice for new business owners and is fairly cheap and easy to start up. It is basically when you focus on a specific niche within an industry, for example, cookbooks instead of books as a whole, or retro games as opposed to video games. This allows you to build relevance and authority on your chosen subject, without the gargantuan effort required to do that for an industry as a whole. Buyer personas will help you a lot here when it comes to targeting specific people, and a niche blog can help you build up an audience. This is similar to the single category model but with a range of different product categories. They are extremely difficult and complicated to run due to dealing with different suppliers and logistics. However, they are a good choice for businesses who are already established in physical retail and are moving into eCommerce, for example, Argos. Plenty of hybrid business models may exist, but the most common hybrid is of single category and the affiliate model. For a single category eCommerce store that is growing quickly, the wise next step is often through affiliate marketing. This allows you to test other businesses products on your site with minimal risk or cost to yourself. It can also allow you to have completely new categories of product on your site without the marketing and stock costs involved with setting them up yourself. There are also widgets and plugins out there that can make this go completely seamlessly, for example, a customer can add a product you stock yourself, and a product that is just an affiliate link to the basket at the same time and go through only one checkout process. 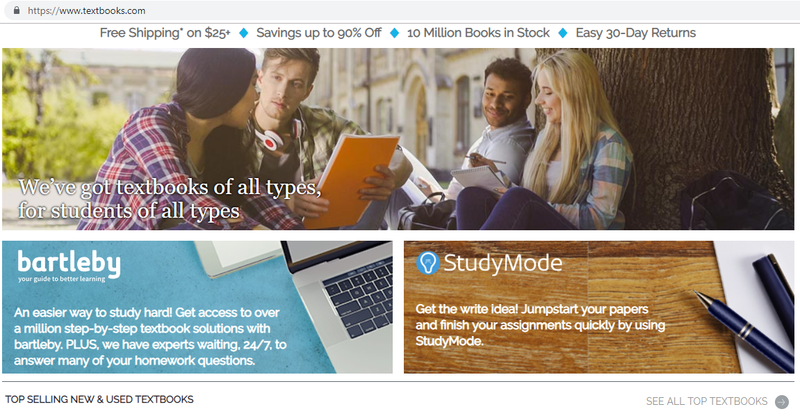 So now you’re well versed on eCommerce business models and strategies along with what they entail, but how do you compare them and figure out which one is best for you? And how do you compare how your business model is working out, compared to your competition or even someone with a similar model in a different industry? Well, gross profit is a pretty big pointer. Gross profit is of course, the total revenue of a company minus the cost of goods sold. Analysts often compare the gross profit of businesses to see who is making the best return on investment (ROI). Pricing and costs are of course the most important measure of whether a business model can be successful. The only way to be sure of this is to analyse the data in-depth. For more information on value-based pricing strategies, please check out our advanced guide on the topic. 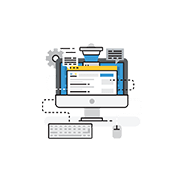 If you would rather have the industry leading experts behind the AmazonSEOConsultant blog boosting your Amazon product rankings so that you can focus on other things while your profits reach untold heights, look at our product offerings here. We also have a list of case studies where you can see just a few of the unbelievable results we have been able to achieve for existing clients.